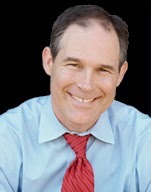 OKLAHOMA CITY – Oklahoma Attorney General Scott Pruitt hailed the state’s victory in its lawsuit challenging the implementation of the Affordable Care Act. In September 2012, Oklahoma was the first to challenge the legality of an IRS rule that caused billions in illegal subsidies to be paid out, despite Congress having never authorized those payments. On Tuesday, U.S. District Judge Ronald White ruled in favor of the state’s lawsuit challenging that IRS rule. Oklahoma’s lawsuit challenges an IRS rule from May 2012 that called for 1) tax subsidies to be issued in states like Oklahoma without a state-based health care exchange and 2) assessed “large employer” penalties in states that did not establish state health care exchanges. Both parts of the rule contradict the language of the ACA, which plainly states that tax subsidies can only be issued and tax penalties are only to be assessed in states that established state-based health care exchanges. The ruling in the Eastern District of Oklahoma can be appealed by the Department of Justice to the 10th Circuit Court of Appeals in Denver. Click here for a copy of the judge's order. “Today’s ruling is a huge win for Oklahoma, but it’s just a first step. Since Oklahoma filed the first lawsuit in 2012, others have followed our lead and made similar claims in other jurisdictions. It’s likely this issue will ultimately be decided by the U.S. Supreme Court. We look forward to making our case and continuing the effort to hold federal agencies accountable to their duty to enforce the laws passed by Congress,” Attorney General Pruitt said. Attorney General Pruitt expressed thanks to the attorneys in the AG’s Office who worked on this case. “I want to thank Solicitor General Patrick Wyrick and the attorneys in our federalism unit for their dedication and outstanding legal work on this important case,” General Pruitt said.